In a recent poll within my newsletter, most of you said that cooking was your greatest struggle. Shopping, meal planning, and cooking are tough jobs to keep up with once hectic days start up again. I hear ya. Give me 31 days and I’ll give you some fresh, delicious easy recipes every day of August! Let’s get started, shall we?! Let’s kick Day 1 off with speedy breakfast or snack ideas that can be eaten at home or thrown in a lunchbox with ease (for adults and kids). 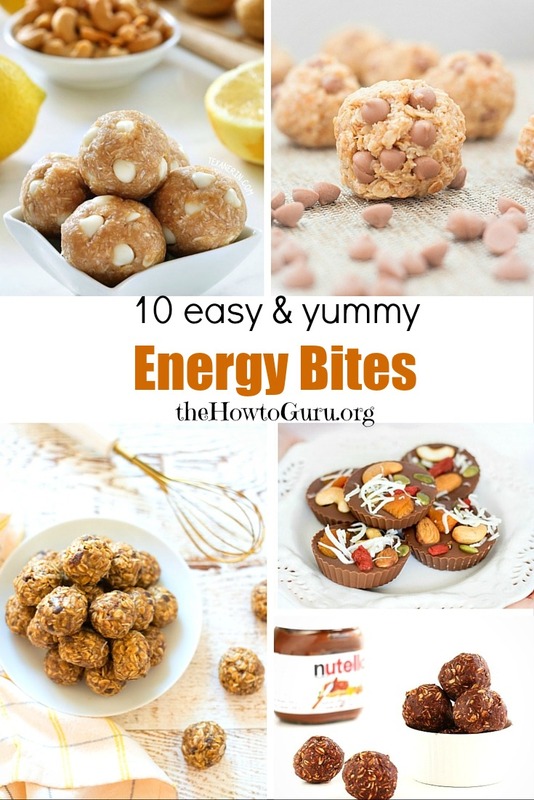 There are many delicious easy recipes below, so there should be a little something for everyone: no bake, some nutty, some nut-free, some chocolate, etc. I’ve rounded up ten scrumptious choices that require minimal effort and time – I’m predicting that they will be helpful lifesavers for incredible protein. Make sure that you are subscribed so that you won’t miss Day 2 and 3 and 4 (and so on) of these quick and cheap meals this month (you’ll also automatically receive a short, helpful read about less chaos and more Jesus when you confirm your subscription!). You can also follow along with The How-to Guru Facebook page or Instagram. Are you excited like I am about 30 more Days of Delicious Easy Recipes? Pingback: 31 Days of Delicious Easy Recipes For Busy Wives - ROUNDUP! Pingback: Best Snacks List For Kids & Adults That Are "Real Food" & On-The-Go! Pingback: How To Get Back On Track After Holiday Candy Fun!